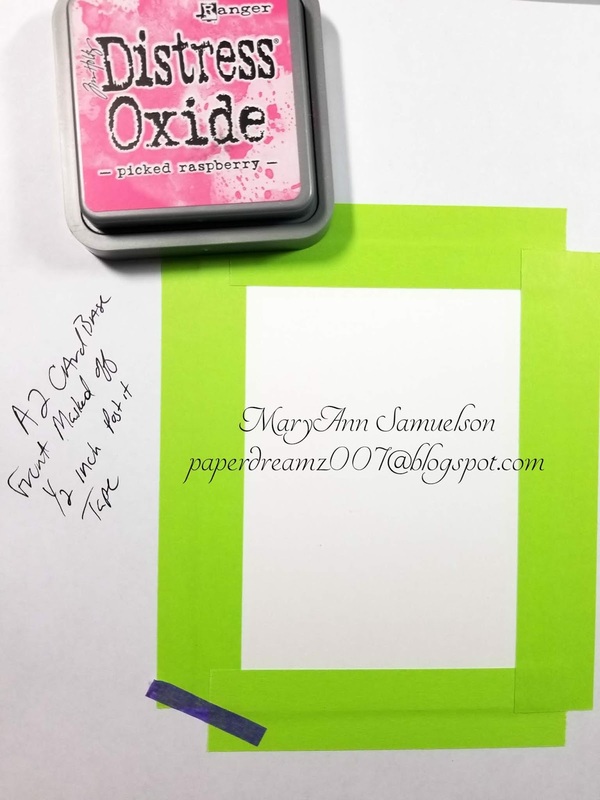 Good Morning, Guest Design Team member MaryAnn here and today I am up on the Kat Scrappiness Design Team Blog as a Guest Designer for the first time. I have been a long time customer of all things Kat Scrappiness as her fast shipping and great prices keep me coming back. So when Kat herself asked me if I would like to be a Guest on her Design Team of course I had to say yes!! So during the month of April I will be posting a few different projects using her exclusive product along with products you can easily shop for on her website. 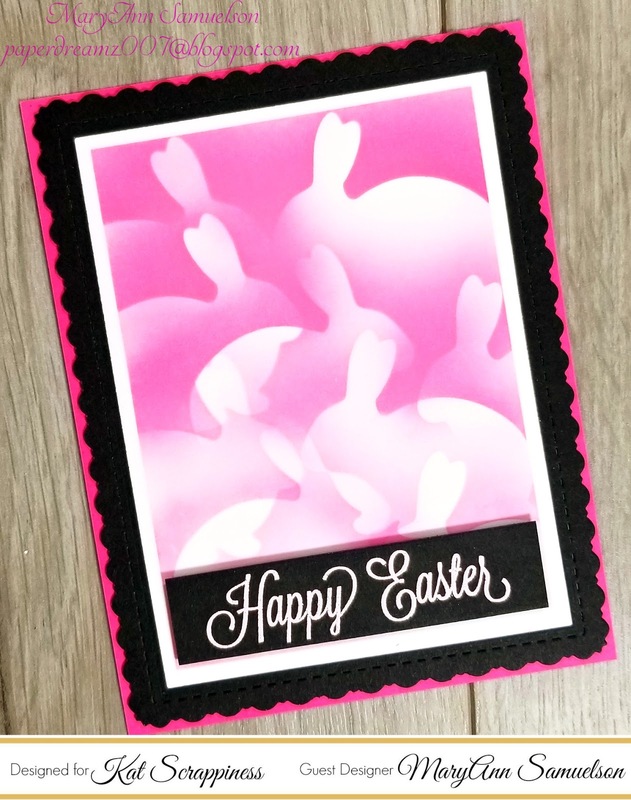 Today’s cards use the new Crafters Essentials Easter Edition Dies along with a few other Dies from her exclusive line. I will be sure to add links to the items in the card recipe below. Grab your favorite blending tools and the ink of your choice. 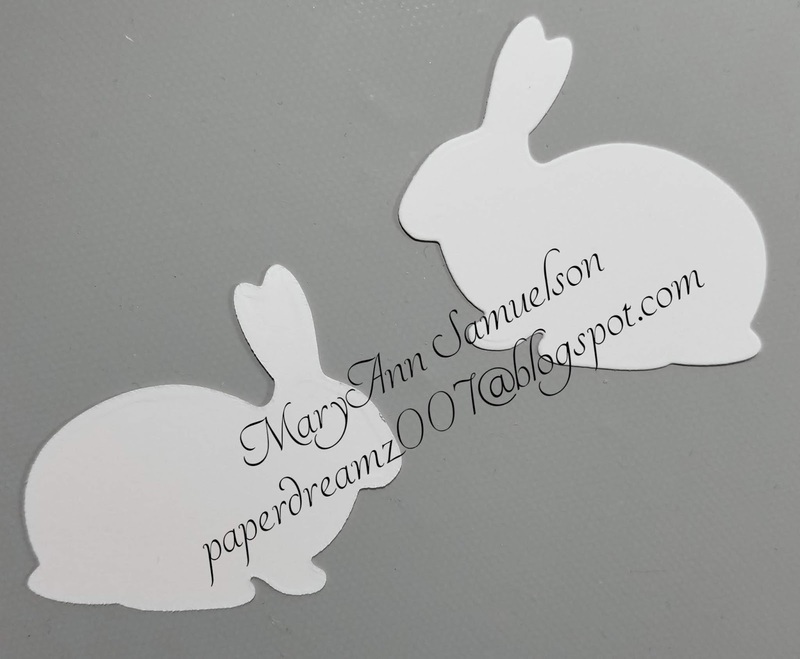 For these 2 cards I used Picked Raspberry Distress Oxide Ink and set about blending the bunnies from the bottom up just place the bunnies on the panel any way you wish and give it a light blend around the edge of the die cut. Honestly there is no wrong way here, just go with it! For card #2 all steps are the exact same except I masked this panel to allow for a bigger pattern. I used the largest of the Stitched Fancy Scalloped Rectangle Die to cut the panel, and again to cut a panel from the Gina K Black Onyx paper which I used as a frame, I diecut a rectangle from the center of it. 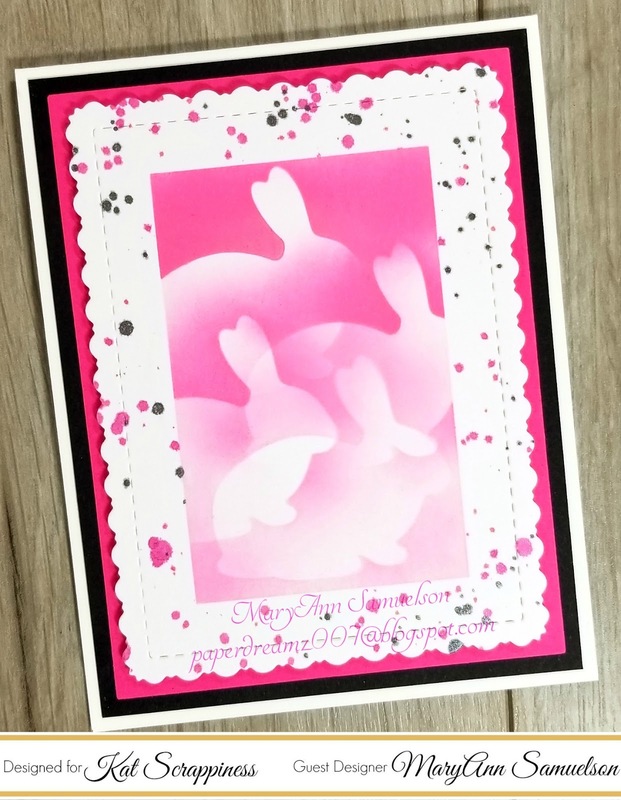 I glued the black onyx frame to the top of the blended bunny panel and then affixed it to the top of a side folding A2 sized card base of Gina K Designs Passionate Pink cardstock. I still felt the card needed something so I grabbed a simple script Happy Easter sentiment stamp from my stash and stamped it with Versamark embossing ink and used a pale pink embossing powder on a scrap piece of Black Onyx paper, applied a strip of double sided foam tape and affixed to bottom of panel as shown. That is all for me today. I hope I have inspired you to maybe give this technique a go and create some fast and easy cards. Thank you for stopping by for a few minutes!